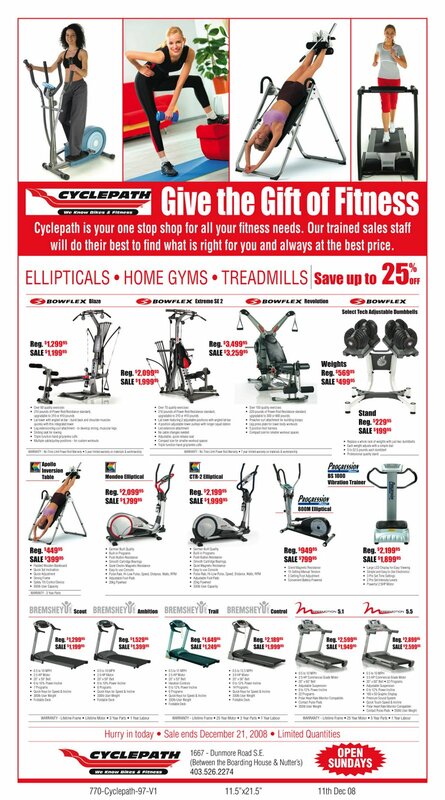 Here's an ad that ran last year about this time for a local fitness equipment retailer. Click on it to see a larger version. You should sell it now--it'll help you end your December on a high note and start your January off strong. Better yet, the ad is good for the advertiser, too. With the average sale of fitness equipment being so high, even a bad response will generate plenty to make a profit and then some. The strategy was created by an ad rep at one of our client newspapers, the Medicine Hat News in Alberta, Canada. It's custom made to get people about to buy fitness equipment seeing, reading, and responding to it. Why sell this ad to run now and into January? According to Men's Health Magazine, 50% of all weight gained throughout the year is done between Thanksgiving and New Year's. And the further along we go in this prime weight-gain season, the higher fitness equipment begins to appear on people's Christmas lists. Not that this category wasn't strong to begin with--23% of Black Friday shoppers surveyed had recreational or fitness equipment on their list. Another good reason? 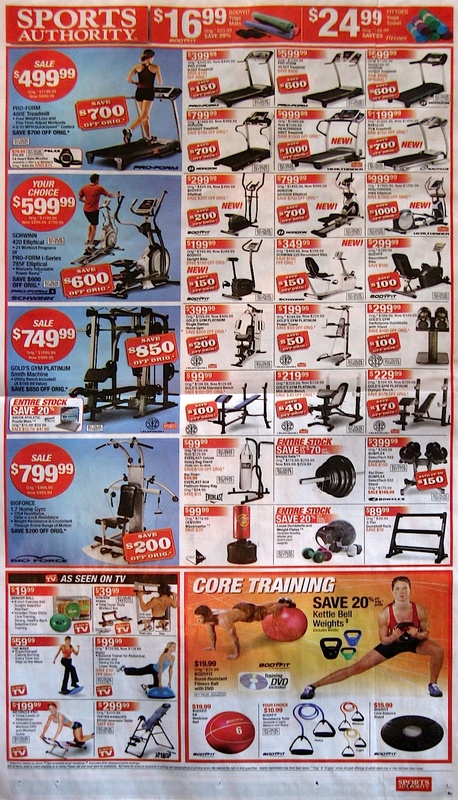 Take a look what Sports Authority is promoting this week. They're one of the largest sporting goods retailers in the U.S., with 450 stores in 45 states, so they know what's hot. If you're a Response Oriented Selling ad sales client or use our DesignYourAd Overnight Ad Production service, you can take this and customize it to your needs. Just ask.